Ron the floor guy installation company for hardwood floors in NJ. We specialize in wood floor installation for the following New Jersey counties: Monmouth, Ocean and Middlesex. When you hire Ron The Floor Guy, you can count on our expert crews to be on-time, professional and provide top quality craftsmanship. Our staff is trained to help you choose the best installation method and materials that are within your budget. Working with reputable manufacturers give us the ability to offer a wide variety of high quality floors at competitive prices. We do not install ceramic tile or carpet. Flooring samples are available at our showroom by appointment. Unfinished floors are wood planks that are sanded, stained and finished in your home. Versatile - choose your favorite stain color. Customizable - design borders and inlays. Offer many styles to choose from. We supply a wide variety of unfinished 3/4" sold hardwood floors. The most popular types are red oak, white oak, pine, maple, brazilian cherry, hickory, and walnut. Wood Width (inches) : 1 1/2", 2 1/4" , 3 1/4", 4", 5" and up. The most popular being 3 1/4" and 4". Pre-finished floors are wood planks that are stained and finished at the factory then installed in your home. Wood Width (inches) : 2 1/4" , 3 1/4", 4", 5" and up. The most popular being 3 1/4" and 4". 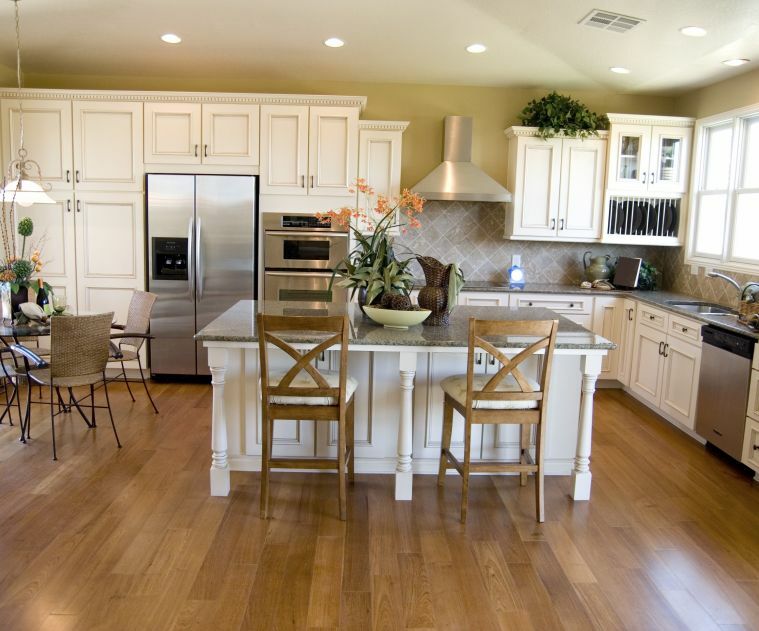 We supply a wide variety of pre-finished flooring styles. The manufacturers we work with are Somerset, Mullican, Bruce, Mirage, and Ferma. Engineered wood flooring is made of several wood plies (layers) that are fused together under heat and pressure. It is less susceptible to shrinking and expanding and its multiple wood layers make it very durable. Great for humidity prone areas like bathrooms,finished basements or homes on the water. Wood width (inches) 2 ¼, 3 ¼, 4”, 5” and up. 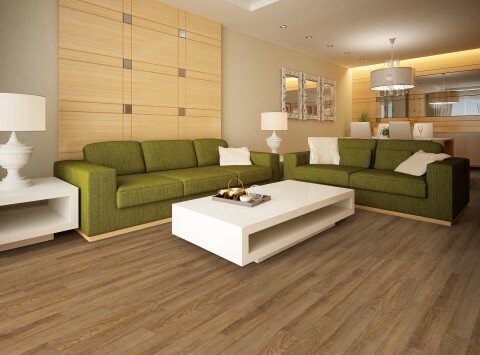 COREtec Plus is an engineered luxury vinyl flooring. A great alternative to glue down LVT, solid locking LVT, or laminate flooring. It's core structure is made from recycled wood and bamboo dust, limestone, and virgin PVC. Since it is 100% waterproof, it can be installed in wet areas and will never swell when exposed to water versus a laminate flooring which would not hold up. Each plank has an attached cork underlayment for a quieter, warmer vinyl floor that is naturally resistant to odor causing mold and mildew. COREtec Plus 5" Plank - Elegant look and feel of traditional hardwood with a waterproof construction. 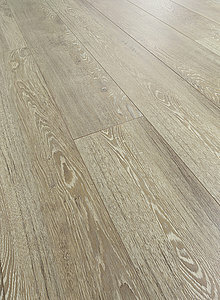 COREtec Plus 7" Wide Plank - Rustic aesthetic with a distressed look for a time-worn appearance. Can be installed directly over ceramic or imperfect subfloors. COREtec Plus Tile - High end look of natural stone with durability of vinyl and comfort of cork. COREtec Plus XL- The 9" wide and 6' long planks are sure to make a bold statement. From modern to country, many styles to choose from. COREtec ONE - The best looks of traditional hardwood flooring in many decors at a residential opening price point. Laminate flooring is made of thin, pressed wood board with an image of wood on top covered by a clear "wear layer" to protect the image. It is one of the most popular choices of floor surface. The result should be comfortable, look like a natural material and have a high quality finish.